This superb book was initially published in 1998 and has been out of print for several years. This new edition has been updated to show the most recent developments in all areas relating to the heavy horse industry. The Working Horse Manual has been designed to act as bible for heavy horse enthusiasts. 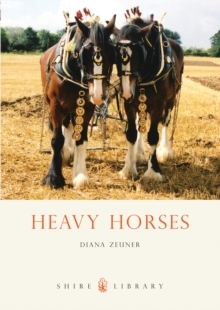 Diana Zeuner has collected articles from 24 leading heavy horse experts who, between them, have covered a wide array of topics including: o Choosing your breed o Harnesses and harnessing o Horses in forestry o Multiple hitches o Farriery o Ploughing o Plaiting o Horse-drawn machinery and equipment o Veterinary care o Transport law o Caring for horse-drawn vehicles o Road driving For this new edition the chapters about Training for Horsemen, Working Horses in Forestry and Transport and the Law have been completely updated to reflect recent changes. The rest of the book has also been amended accordingly. This new edition also has an increased section on cross-country driving and an improved 'useful addresses' section. The book is highly illustrated with photographs and diagrams. 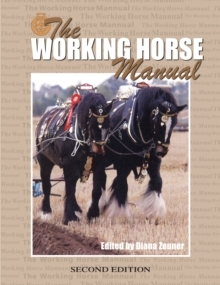 The Working Horse Manual is the only UK book of this type and is on the recommended reading list of the British Driving Society.